Besides assisting the realizing of your business goals, SBS offer a wide range of value added services to comprehend strategic plans and accurate forecasting. 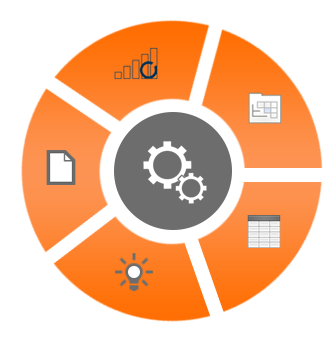 Our Services supports Companies with a range of customized analytic support, contact centre and CRM Service for the steadily expanding and demanding market. Our dedicated delivery network spread across Indian Cities is aligned to manage this diverse customer segment with responsive, quality and economical services. Our constant portfolio upgrade has effectively supported our clients in servicing their vast customer base. Our primary focus enables true business and IT collaboration via a single collaborative platform. Our highly dedicated and trained professionals understand client requirements and helps in developing research materials with competitive insights and market analysis. Our Process knowledge and analytics gives us an added advantage in supporting client’s business objectives and their strategic formulation. We provide both voice and non-voice support, to cater different customer needs. We also help establish IVRs (Interactive Voice Process) for our customers through process optimization. We use the best possible mechanisms to reply to grievances of customers via SMS, e-mail automated call backs. We strive to root out the problems faced by customers and rectify them to the best extent possible. It is imperative to be responsive and amiable to woes of our customers. In today's world, client & customer retention is of paramount importance for growing a sustainable business. At SBS we ensure ultimate customer satisfaction by extending personalized service that deliver cutting edge customer service solutions.